Lasers and Lights.com will be supplying Laser Starfield Projectors to enhance this lovely transformational festival on the river side. August 30 – Sept 2 ~ River of Bliss The forest will be filled with firefly like laser starbeams adding a magical effect to these serene grounds. The Spright landscape laser starfield projector projects thousands of laser beams in 160 degrees for up to 100 yards. The Bliss 15 Laser Starfield Projector showers the surroundings with thousands of moving laser beams and a blue windblown cloudfield. The Bliss 15 is intended for indoor use but is commonly used outdoors during fair weather. 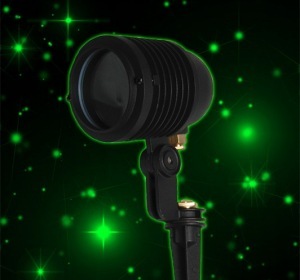 No outdoor summer event is complete without the magical firefly laser lighting effects of the Spright Laser Starfield Projectors from Lasers and Lights.com. Available for sale or rent, you'll find indoor and outdoor effect lighting to transform your space. For remote locations, battery powered lasers are ideal but Spright and LS20G outdoor landscape projectors take such little power (35 watts max) that you can easily run them with a sine wave invertor powered by battery. Here is a photo from last year's river Labor Day river gathering with DJ Pangea. The night time dance sessions will be filled with starfields of lasers in the forest this year as well. The spectacularly groomed gardens and artwork from around the globe make the River Haven park a surreal setting. The serene Stanislaus river in August makes for a mellow river trip which is nothing like the wild spring flows. See an array of photos of this venue and recent RiverGuidess celebrations here. Older Watch Burning Man live on the internet! Watch Burning Man live on the internet!